IT’S THE IGGY & JOSH SHOW! 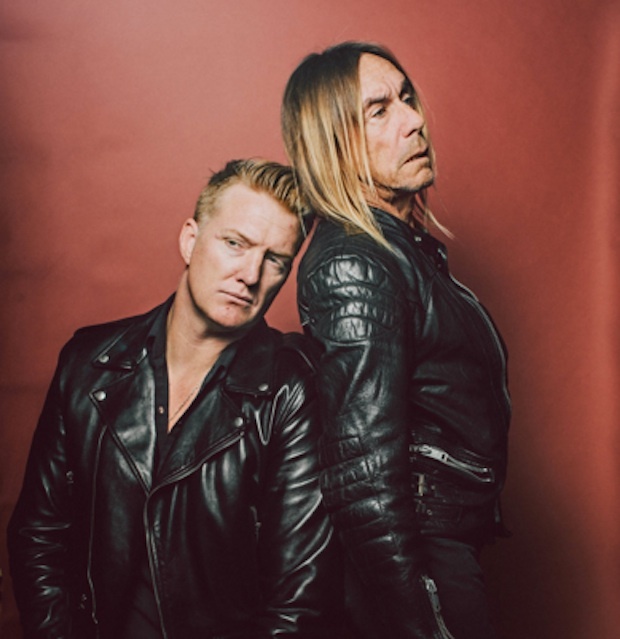 It’s been revealed that IGGY POP and QUEENS OF THE STONE AGE and EAGLES OF DEATH METAL mainman Josh Homme have been collaborating on a new album. Announced unexpectedly during an appearance on TVs The Late Show with Stephen Colbert, Post Pop Depression was recorded in seclusion with a line-up assembled by Homme featuring his QOTSA bandmate and DEAD WEATHER guitarist Dean Fertita and ARCTIC MONKEYS drummer Matt Helders. Post Pop Depression is released on 18 March on Rekords Rekords through Caroline International. It’s available to pre-order as a download now on iTunes, with the single ‘Gardenia’ available immediately, or on vinyl and CD from Iggy’s webstore. ‹ INFA RIOT: BEST OF THE EIGHTIES!